Happy Friday all! I hope you had a wonderful holiday weekend! We had a great 4th. Despite lots of rain, we did make it out for a quick swim and to see the fireworks show. 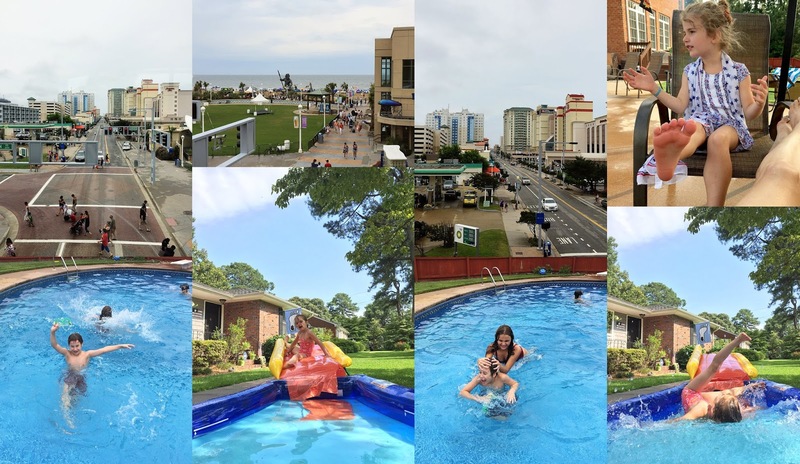 I shot a wedding at the Virginia Beach oceanfront early in the day, then met hubs and the kids at my mom and stepdad's for some fun. The rest of the week I have been running back and forth to sessions and chained to my desk between for an editing marathon. I feel like I'm 85 years old. Nothing will kill you quicker than sitting. I swear. It is plain awful. Speaking of that, I have a birthday next week and I'm half way to 85. Oy! Link up your posts below and have a super weekend! Love your moments collage for the week! That rainbow is just awesome! Have a wonderful weekend my friend. Good advise! I have been swimming pretty consistently, even a little lake swimming as well. Happy early half way to 85 to you. Pretty good for an iPhone, but then again they've gotten better and better. What a wonderful place to shoot a wedding, Love the backwards sliding and "big foot". Beautiful photo set! 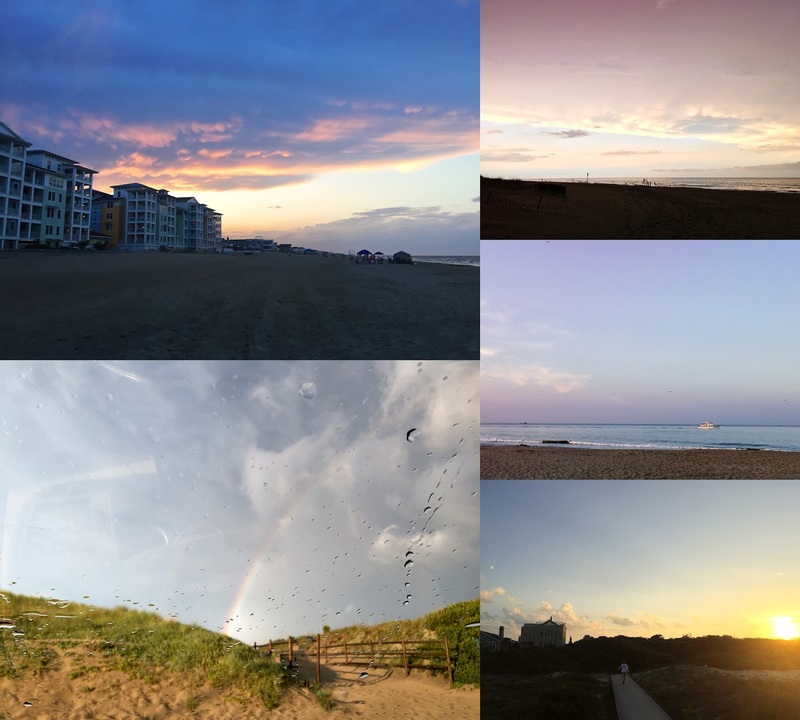 As a fellow nature photographer, I am always excited by such colorful clouds! We're not created for sitting behind the desk .. My back is feeling the writing from the last two months ... I feel for you & hope you'll survive the editing marathon! At work I have a desk that can be elevated, so I can stand and write ~ that helps and is good for neck and shoulders. And ... Have a Wonderful Birthday week! Faster and Simpler than the SBA, http://BusinessLoansFunded.com can get your business a loan for $2K-350,000 With low-credit and no traditional personal guarantees or collateral. If you've been in business for at least a year you are already pre-qualified. Our Quick service means funding can be finished within 48hrs. Terms are personalized for each business so I suggest applying to find out exactly how much you can get.